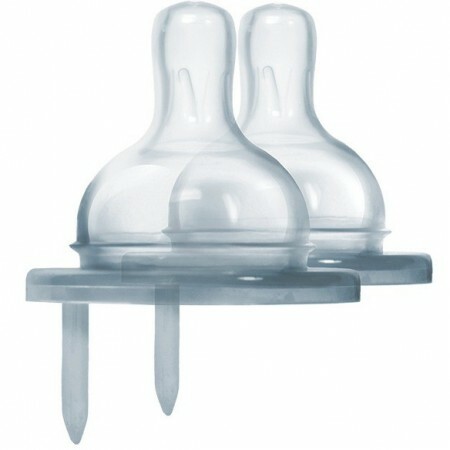 Pack of two anti-colic, medium flow natural vent teats made from 100% medical grade silicone. 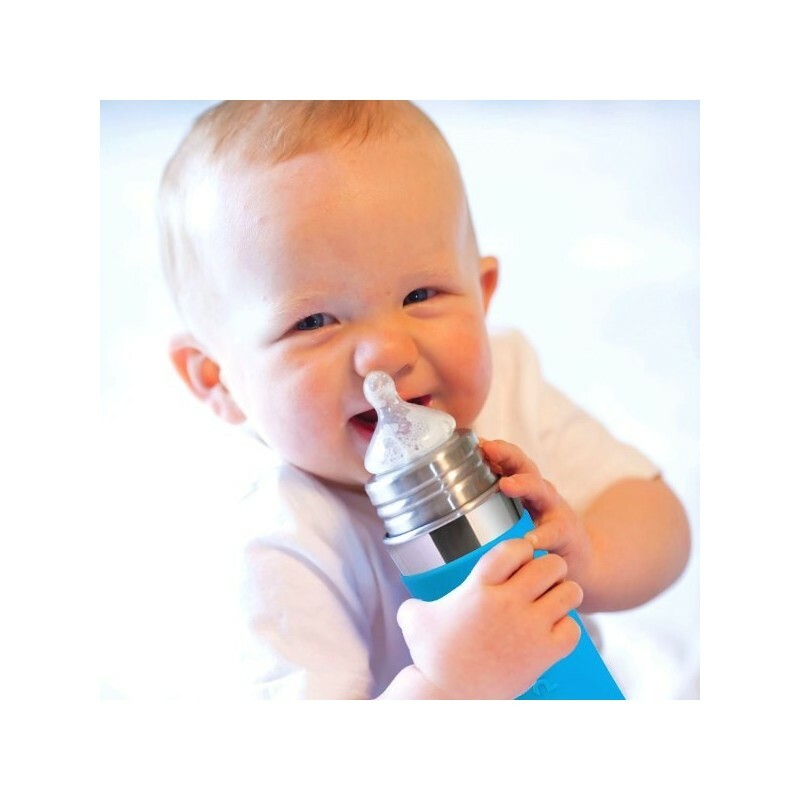 Soft and durable with a flow rate to match breast feeding, these spouts are suited to children ages +3mths. 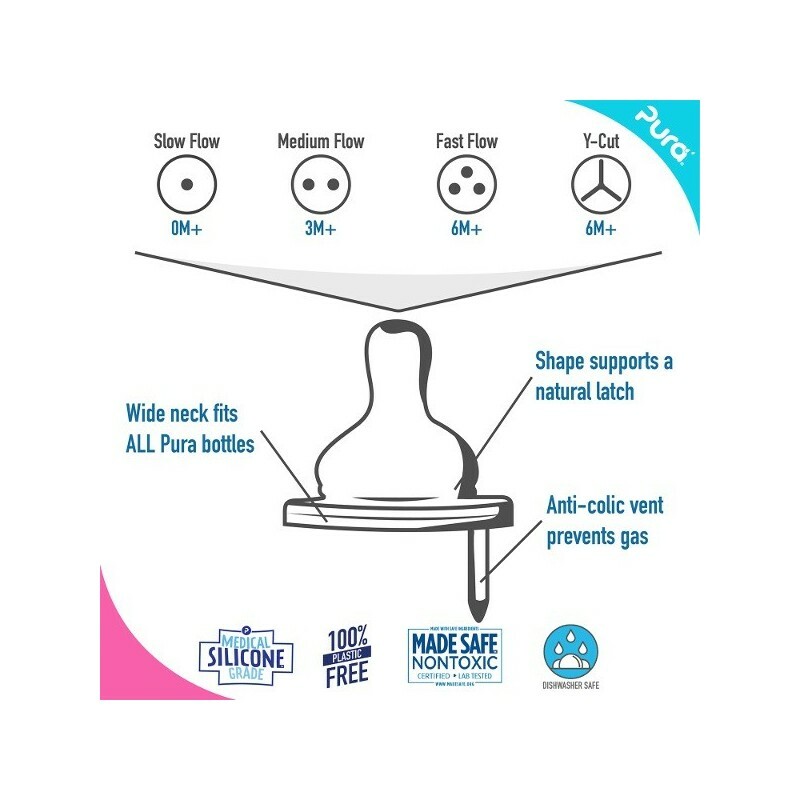 Designed to transform and extend the life of your Pura bottle as your child grows. 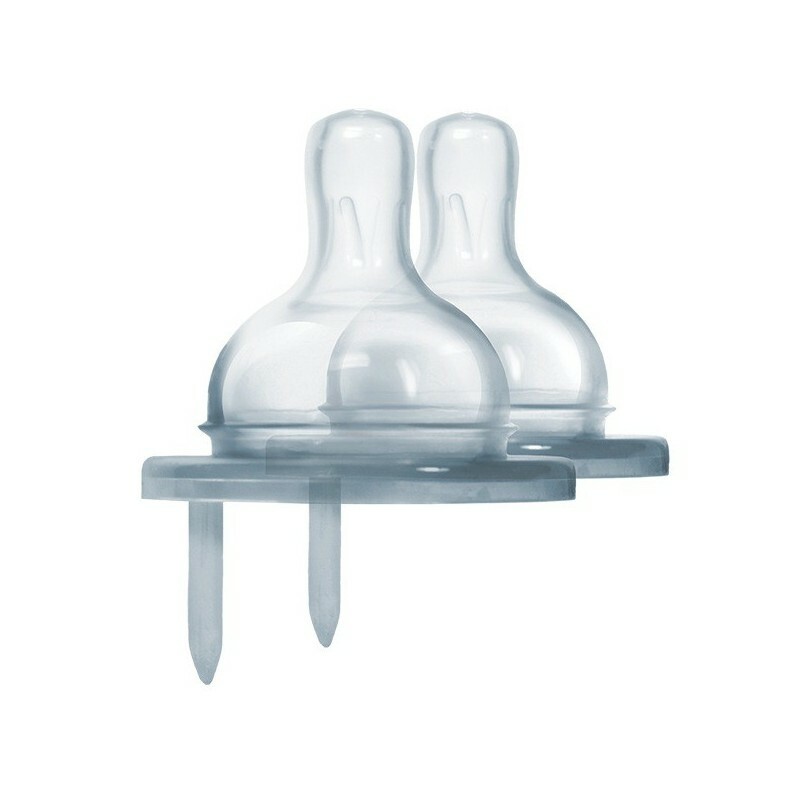 Two spouts.